I’m both a sucker for a gadget and someone who likes to keep fit and active. A few months ago I decided that rather than the old-fashioned route of trying to keep a diary of my various fitness activities, I’d get myself one of those fancy new smart watches to track and record my every move. I’m now a proud owner of a fitbit charge 2 (shown above), and I have to say, I really rather like it. 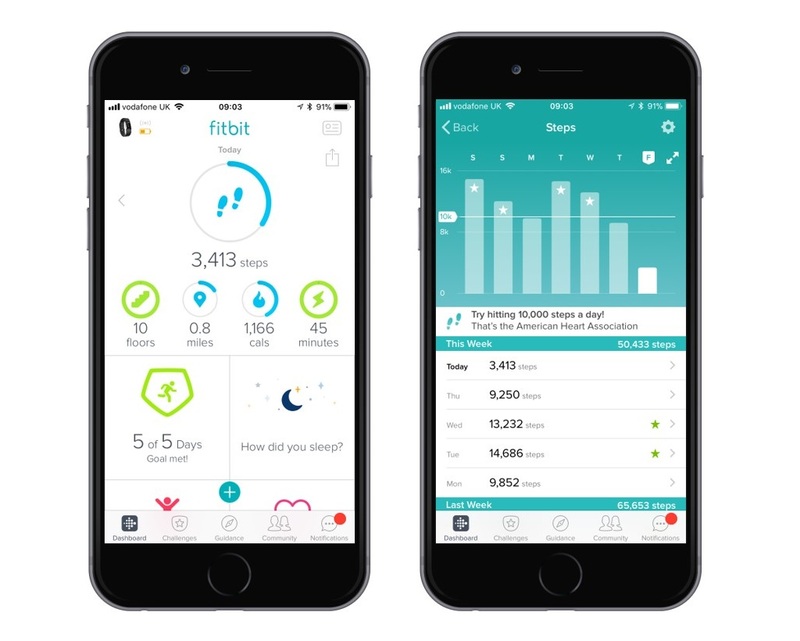 Fitbit make lots of gadgets for helping to track your fitness and everyday activities. The charge 2 goes one step further than most smart watches by also continually tracking your heart rate. It’s like having a tiny little nurse constantly taking your pulse. The Fitbit captures lots and lots of data. I can see how far I’ve walked each day, how many calories I’ve burnt, how many steps I’ve taken, how many minutes I’ve exercised for, what my resting heart rate is, even the duration and quality of my sleep (assuming I wear it in bed). My Fitbit is certainly useful for keeping track of what activities I’ve done, but where it really comes into its own is by nudging me to do that little bit more. Like a mini coach on my wrist it pushes me to take the stairs rather than the lift. It prods me to run or cycle that little bit further. It encourages me to go for a lunchtime walk, rather than veg out at my desk. It does this through gamification – using game mechanics, such as scoring, competition and challenges to motivate and encourage desired behaviours. I think that Fitbit have really nailed gamification and you can learn a lot from what they’re doing well. Here are 10 lessons that I’ve taken away. 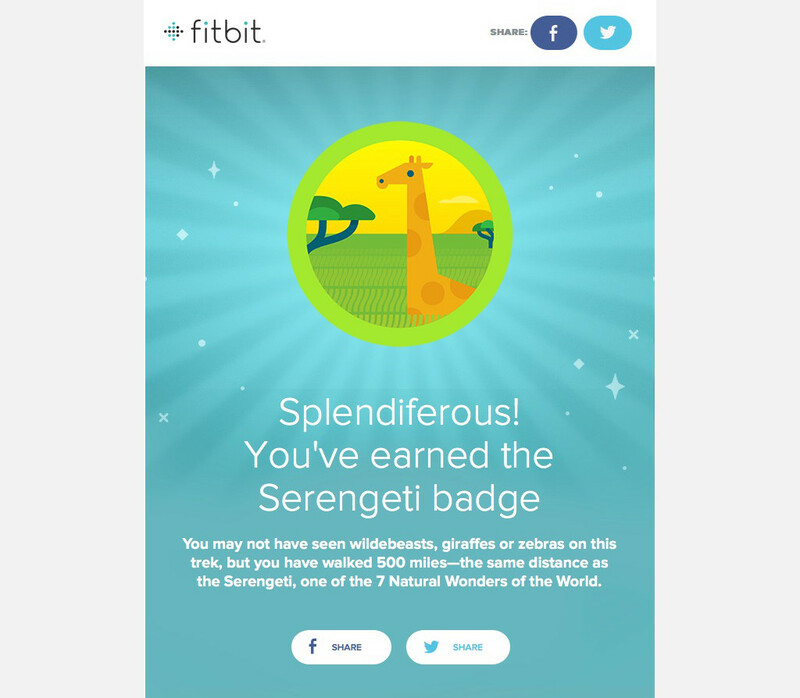 I’ve always been a bit of a gamification sceptic, but my Fitbit has demonstrated to me that gamification really can make a difference to user behaviour. However, I don’t think that it necessarily works in every domain. Exercise and fitness is already quite fun and game-like, so adding some extra game mechanics isn’t too much of a stretch. The same however isn’t necessarily true of more mundane activities, such as filling out expenses or completing forms. Gamification isn’t the silver bullet that some would have you believe that it is. Sure, it can work when well executed, but only within a domain where it makes sense. If you’re introducing gamification elements to an activity, you need to make the rules of the game clear. Rather than bombarding users with a million and one things to think about, it’s better to ease them into the game. Introduce the basics, and then you can start to introduce more concepts and mechanics as users get the hang of it. Fitbit explains the rules of the game rather nicely. They include a little quick start booklet with the device to introduce the basic features and concepts. They include an initial walkthrough within their mobile app and over time send a number of introductory emails to gradually introduce more things for users to think about. One of the reasons that football / soccer is the most popular game in the world is its simplicity. Unlike Rugby, American football, Cricket and countless other games, the rules are very simple and straightforward to follow (except for perhaps the offside rule). Fitbit, like football also keeps the rules of the game nice and simple. Challenges are kept simple and straightforward, such as completing at least 10,000 steps in a day (harder than it sounds) or competing with a friend to see who can walk further. Like Fitbit, you should aim to keep any gamification elements as simple, and as straightforward as possible. Have you ever played a video game where you can barely get past the first section because it’s so darn hard? Rather than persevering I bet you just gave up and played a different game instead. You see when it comes to games and gamification, challenges need to be challenging, but not too challenging. Fitbit ensures that this is the case by starting with realistic challenges, such as 8,000 steps and 15 minutes of exercise a day. Only once you’ve been smashing it for a while does Fitbit suggest that you increase your targets. Competition is at the heart of most games, and of all good instances of gamification. Whether it’s trying to score more points or complete more tasks, adding a bit of healthy competition can really help to motivate users. Fitbit does this by allowing you to compete within groups and with friends and family. 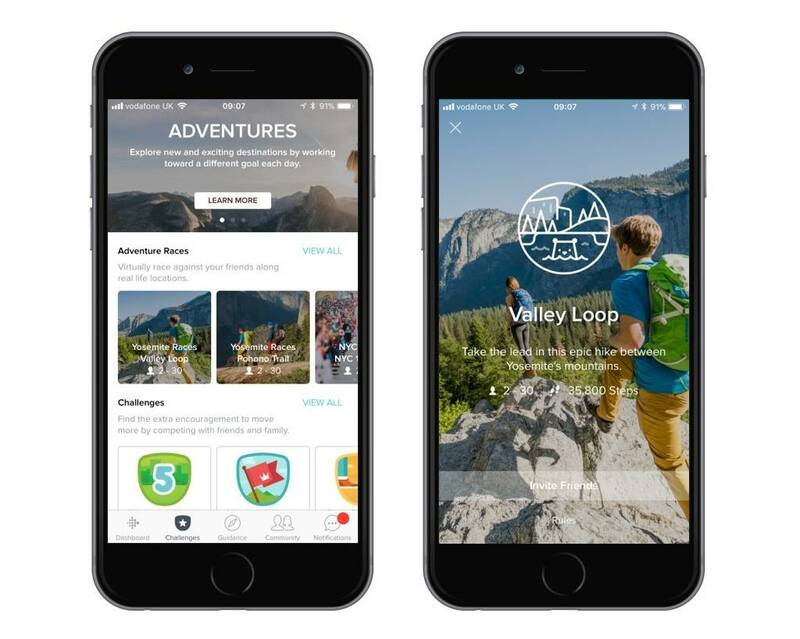 For example, seeing who has completed the most steps in a month or who can complete a virtual adventure trail first. 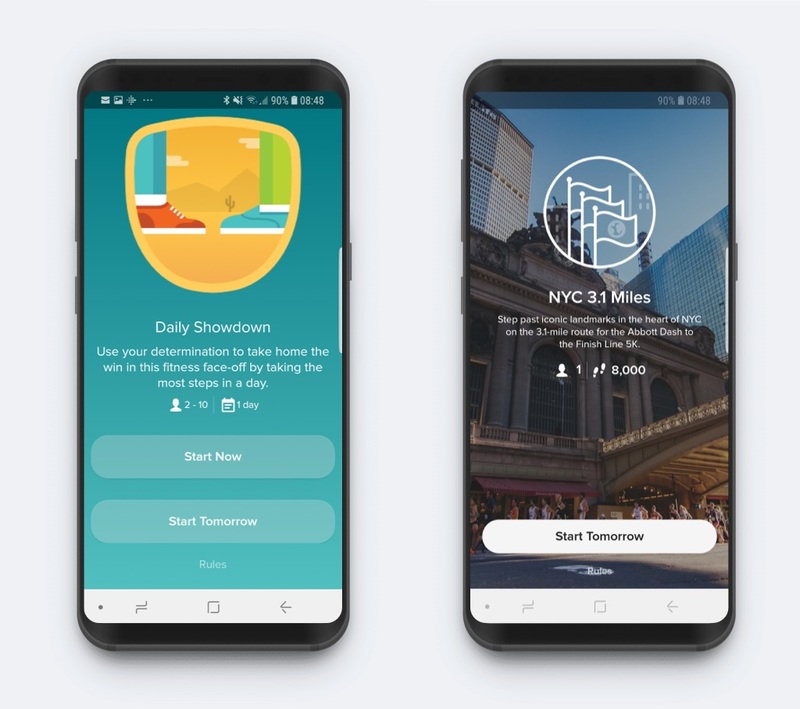 Fitbit users can compare their stats with others and battle it out for a place on the leaderboard. Games are always better when played with your friends. 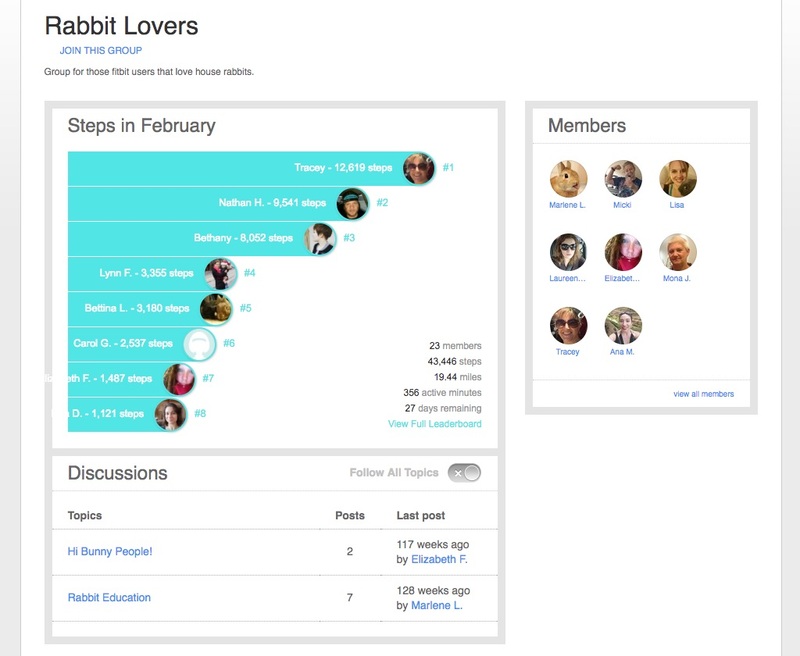 This is why Fitbit allows users to set-up groups and to chat and compete with Fitbit equipped friends and family. Always ensure where possible that any gamification supports social groups and interactions. Gently nudging someone to carry out a desired behaviour is a key part of gamification. For example, a reminder to get-up and go for a walk every now and then, or a notification that a competitor has just nabbed the top spot of the leader board. However, there’s a fine line between nudging and nagging. Don’t be like the screaming parent on the touchline, yelling at users for not doing as they’re told, but instead think about how you can gently nudge, remind and encourage users. Fitbit does this by providing little reminders and notifications. For example, reminders on the hour to complete some more steps, and encouraging notifications when someone is close to their daily step target. If users have been set a challenge, it’s important that they can see how they’re doing. 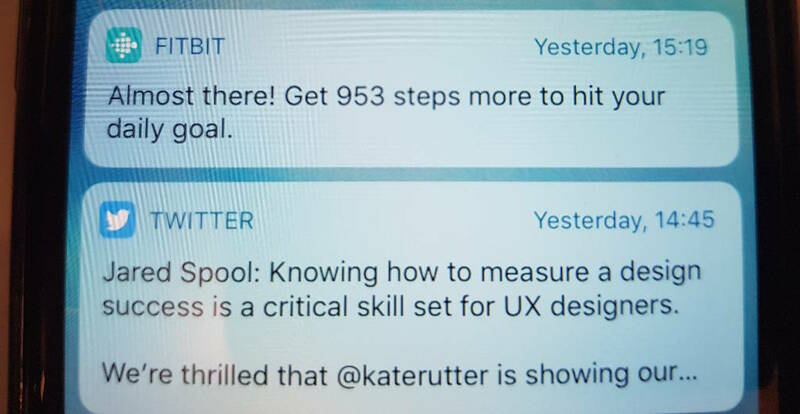 Fitbit provides this sort of feedback by showing the number of steps and calories burnt on the device, and by providing daily and weekly dashboards and reports. Like a parent praising their child for good behaviour, you should be rewarding users for hitting targets and for successfully completing challenges. Everyone likes a bit of praise, and even if the reward might not have any intrinsic value, sometimes just saying well done can make a real difference. The emails that Fitbit send out on completion of activity targets are a great example of this. Users not only receive a nicely worded email but can share their achievement with friends and family via social media. It goes without saying that, games should be fun. A game without any fun, isn’t much of a game is it? The same is true of gamification. 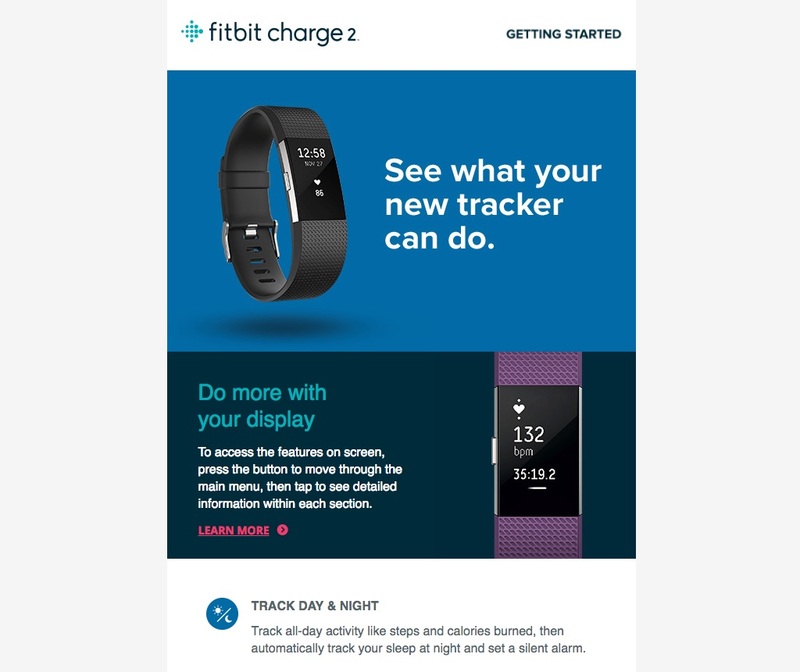 Fitbit introduces elements of fun through competition, through interesting challenges, such as virtually walking around a city, and through the clever use of copy (like the email above).